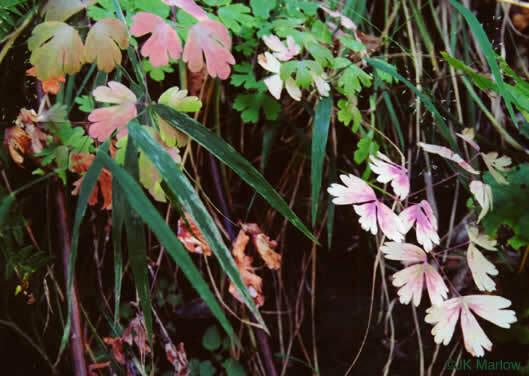 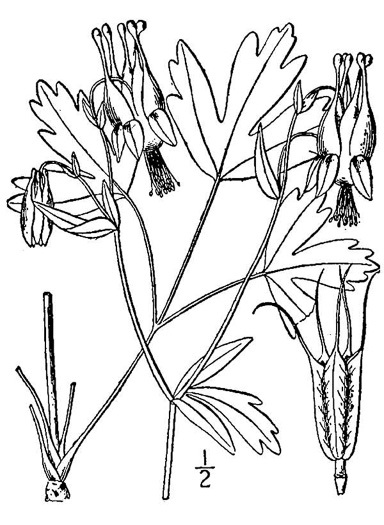 Sepals divergent from floral axis, lance-ovate to oblong-ovate, per Flora of North America. 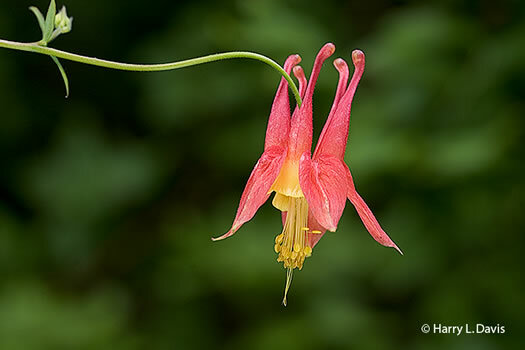 The tube-shaped flower accommodates a hummingbird's bill, per The Wildlife Gardener's Guide. 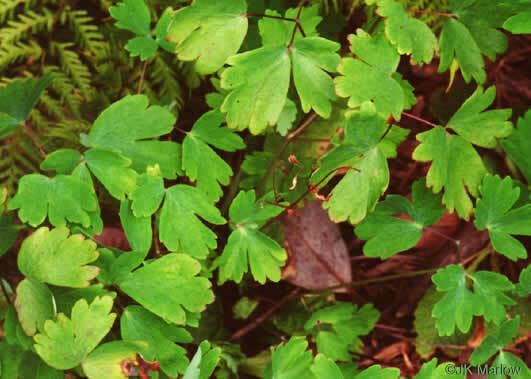 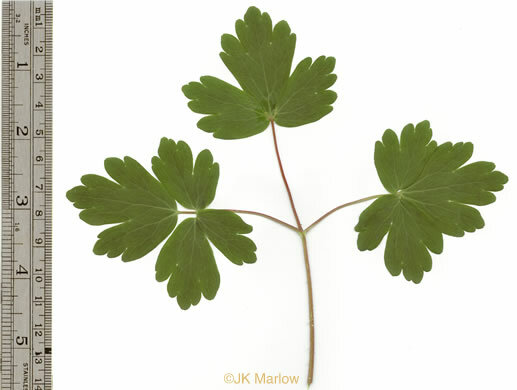 Leaves divided into 3 rounded segments that may be divided again into 3, per Wild Flowers of NC, 1st edition. 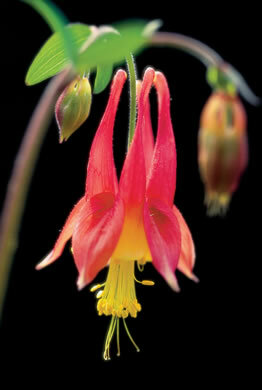 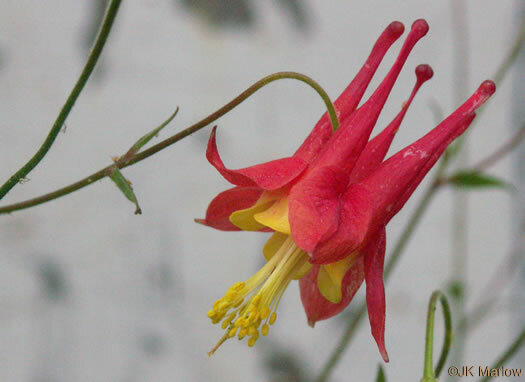 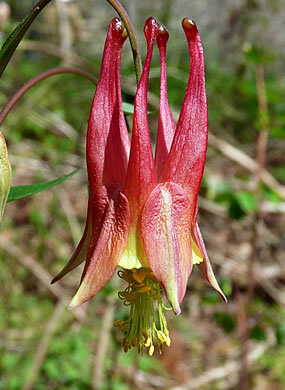 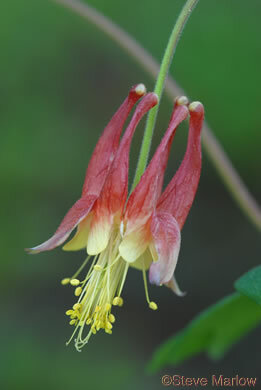 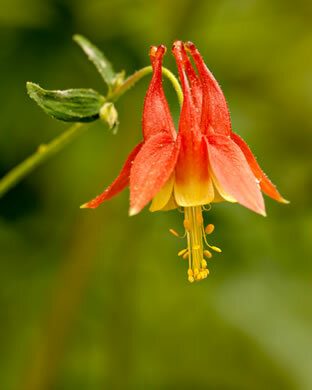 The only Columbine native to the East: It can't be mistaken, per Wildflowers of the Southern Mountains. 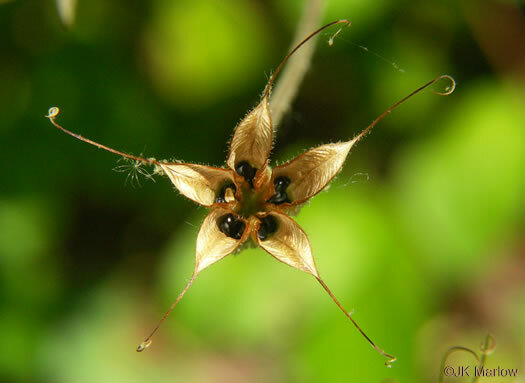 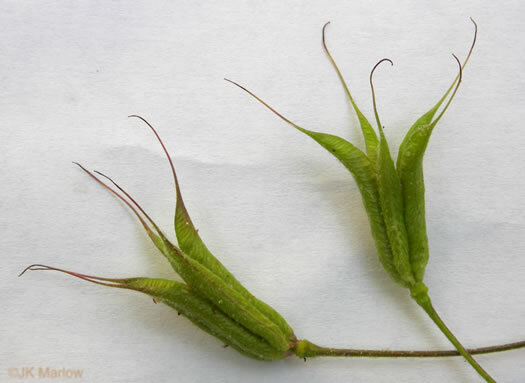 Each follicle resembles a slender capsule and contains many seeds, per Growing and Propagating Wild Flowers. 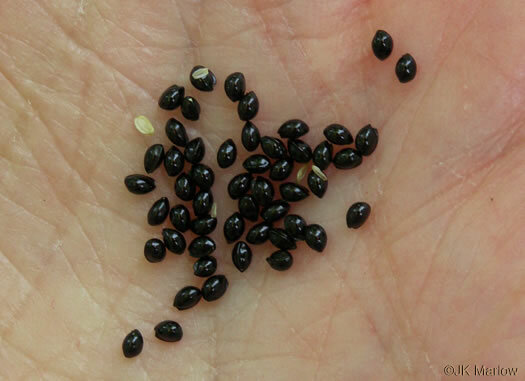 Seeds are lustrous, black, obovoid, angled, 1.5-1.8mm long and 1mm broad, per Vascular Flora of the Carolinas. 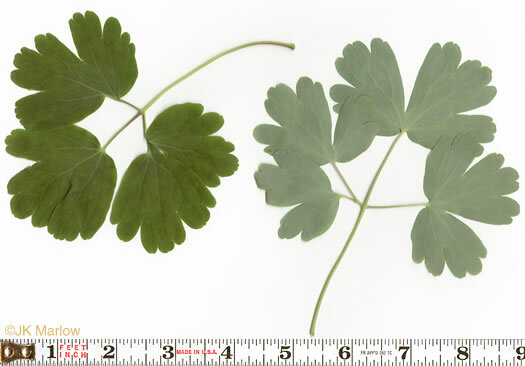 Right after the flowers, 5 light green papery follicles are evident, per Growing and Propagating Wild Flowers. 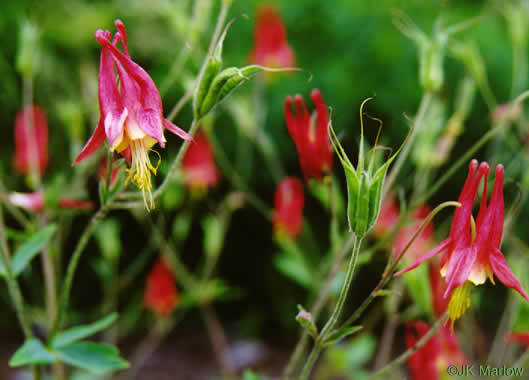 The flowers are creatively designed: red sepals alternate w yellow petals, per Gardening with the Native Plants of Tennessee. 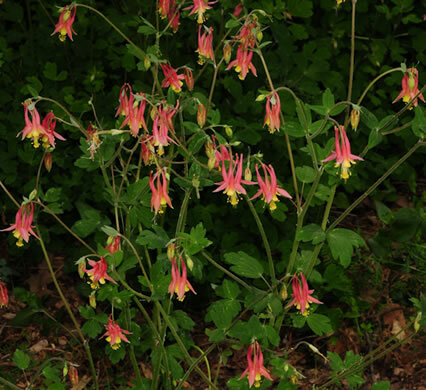 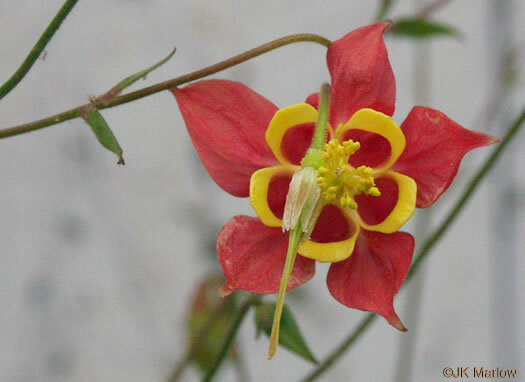 The five petals have yellow blades and hollow red spurs that contain nectar, per Wildflowers of Tennessee.